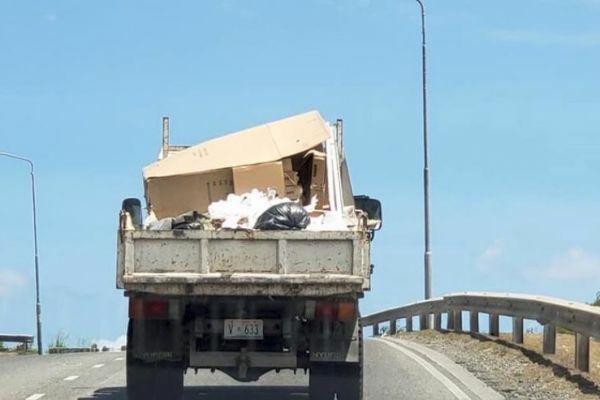 PHILIPSBURG--Voluntary separate collection of waste and the creation of awareness through education about recycling may become part of the roadmap for the prevention of fires and the emanation of smoke, gases and foul smell at the sanitary landfill on Pond Island. The roadmap, which should be ready and signed by the minister by the end of this week, has to include concrete steps to reduce the number of landfill fires. Also, the results of measurements of the air quality carried out by the Ministry of Defence at and around the landfill must be made public, the Judge said. Monthly updates must keep the Court abreast with the state of affairs concerning the solving of problems at the dump. VROMI Secretary-General Louis Brown responded affirmatively when asked by the Judge whether government would be politically and administratively capable of tackling the problems. “Capable yes, but there is a financial problem,” he admitted, in stating that an agreement for a World Bank grant would be signed by the end of this month, which includes US $8.5 million for the suppression of fires and $25 million for the collection of Hurricane Irma debris around the island. According to Brown, the current landfill would have a lifespan of seven years. 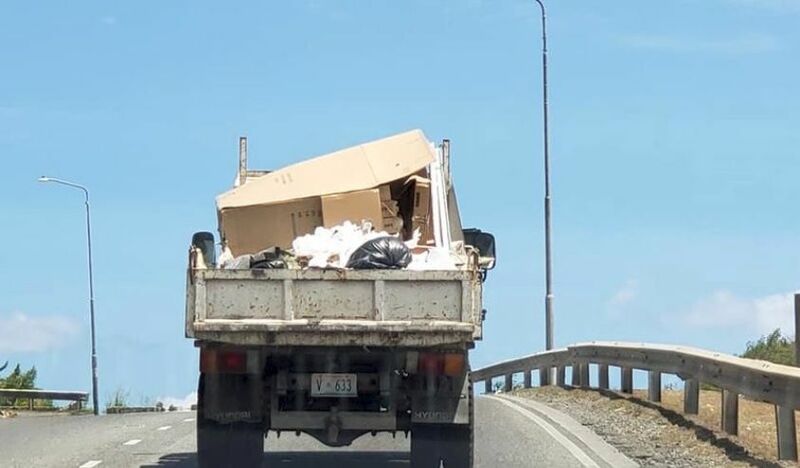 R&S representatives Miguel Thomas and Leroy La Paix said their company collects, compacts and covers 2,000 square metres of garbage with 20 centimetres of fill per month. They said it would help “a lot” if separated garbage collection were introduced, as this would also reduce the risk of fires. “I’m almost feeling like a criminal when I drop my daughter off to school, knowing that she’ll be inhaling toxic fumes from the dump throughout the day,” he said in urging the Court to order concrete measures to curb the problems at the dump within three to six months. Brown said a quick start to handling the dump would be problematic considering the involved tendering processes and the appointment of experts. In VROMI’s eyes it would be more realistic to plan the start of the first-phase – the remediation of the Irma-dump – at the end of the January 2019. “Assuming a start in late January, I would set the date for completion of the work at the end of June,” he said. Litigants had called on the Court to attach to the verdict daily penalties of $5,000, with a maximum of $1 million, in case of non-compliance. According to the Judge, the road map should put politicians and ministers under pressure and should lead to tangible results by June/July 2019. He said the imposition of penalties might have undesired side-effects, as this could lead to litigants becoming millionaires. That is why he suggested setting up a charity foundation aimed at a citizens’ initiative for the separate collection of garbage to be funded by any penalties that may be imposed. Koster responded by saying that BZSE is already working on the establishment of a foundation aimed at seeking a solution to the landfill problem. On behalf of government, attorney Caroline van Hees contested that the administration was doing nothing to extinguish the dump fires and would do nothing to prevent any future blazes. “Yes, we are. Think about waste-to-energy, compacting, recycling, et cetera,” she said. However, Van Hees pointed out that the contract with R&S expires in December 2018 and said a successor might not be found very easily. She claimed that a mid-2019 deadline would be unfeasible, as the long-term project would require $28 million in funding, which probably would not be available prior to 2020. Currently, only a half per cent of the budget is assigned to the dump. “Waste-to-energy is very expensive and complex,” the lawyer said in adding that finding a solution for the dump, which she claimed is not emanating any toxic fumes, is time-consuming, as the talks with the World Bank take a long time.